The notions of mental representation and intentionality are central to contemporary philosophy of mind and it is usually assumed that these notions, if not originated, at least were made essential to the philosophy of mind by Descartes in the seventeenth century. The authors in this book challenge this assumption and show that the history of these ideas can be traced back to the medieval period. 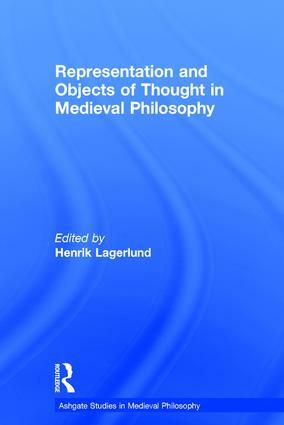 In bringing out the contrasts and similarities between early modern and medieval discussions of mental representation the authors conclude that there is no clear dividing line between western late medieval and early modern philosophy; that they in fact represent one continuous tradition in the philosophy of mind. Dr Henrik Lagerlund is Research Associate in the Centre for Research in the Arts, Social Sciences and Humanities (CRASSH) at the University of Cambridge, UK.